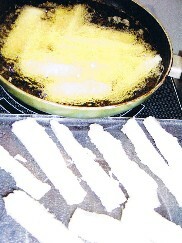 Peel the yucca as shown and then cook it in boiling water with salt. You can eat it like this with butter on top, melted cheese or any other tomato-onion sauce. 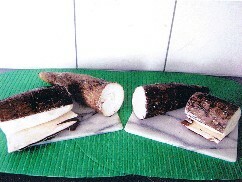 You can also continue and cut the cooked yucca in long pieces and deep fry them. 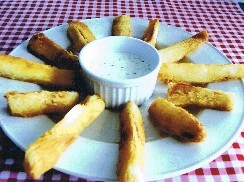 It tastes excellent dipped in sour cream with a tsp salt.